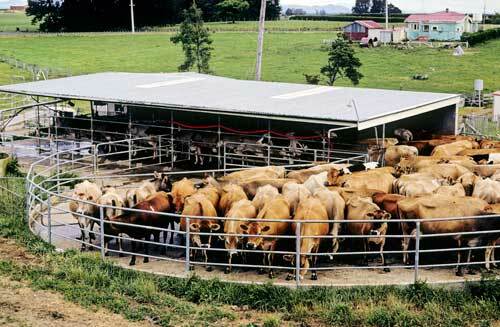 The cow yard, which holds cows prior to milking, is often circular, with a gate pivoted in the centre that moves to push cows towards the milking shed entrance. The gate may be moved by an electric motor, saving the milker having to walk out and adjust it. This yard is part of a herringbone milking shed.